Harvey Norman, Apple and Samsung Electronics were among the most complained about brands in New South Wales during August, according to the NSW Government’s latest complaints register tally. The NSW Fair Trading Complaints Register lists businesses that are the subject of 10 or more complaints to NSW Fair Trading in a calendar month. Businesses are listed according to their public and recognisable trading name. 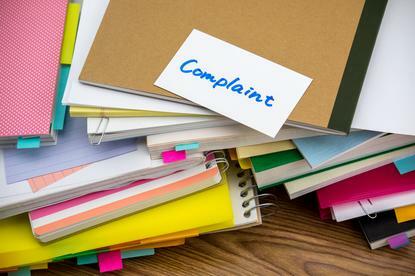 Topping the list last month was online ticket reseller, Viagogo, being the subject of 59 complaints in August. Electronics and homewares retailer, Harvey Norman, came in second, with 26 complaints against its name. Apple was the subject of 24 complaints, putting the tech powerhouse in fourth place for the month, while Samsung Electronics came in at a distant 11th, being the subject of 14 complaints during August. At the same time, electronics retailer, The Good Guys, also slipped into the top 15 list, with 13 complaints against its name, the same tally as online retailer, Grays Online. The NSW Fair Trading Complaints Register tally for the previous month, July, placed Harvey Norman (39 complaints), online ticket reseller Viagogo (30) and Samsung Electronics (27) in the top three spots, respectively. The month prior, Harvey Norman, Apple, Samsung Electronics, The Good Guys and Android Enjoyed all appeared in the top 15 most complained about businesses in NSW. In August, the NSW Fair Trading Complaints Register marked its first birthday, registering a total of 4,765 complaints in the year since its inception. Over the 12-month period, Harvey Norman was the subject of the largest amount of complaints to the NSW agency, with a total of 376. Apple followed closely, in second place, with 265 complaints, while The Good Guys came in equal fourth with Samsung Electronics, with both companies being the subject of 213 complaints each.